In the past, public relations practioners had to prove return on investment with advertising value equivalents (AVEs) – multiplying column inches by advertising rates. Forward thinking PR professionals are now harnessing the power of data visualisation to offer insight into the success of campaigns and prove the value of the industry. How do you decide which metrics to track? And when you have your metrics, what is the best way to present these to business leaders? PR professionals are facing increasing pressure to use effective measurement to prove themselves as profit centres – rather than cost centres – to their organisation or clients. Professionals that assess the value of PR and marketing efforts by focusing on clarity and aligning metrics to business goals are able to share those insights with the C-suite, clients or other stakeholders more effectively. More importantly, it encourages 'buy in' from the C-suite and positions PR as a central role within the organisation. "If you do not know which metrics matter before you start measuring, you will get lost in a mountain of data." Central to measurement and analysis is planning. PR professionals need to know the metrics that will support their organisation or client's goals – the relevancy of these metrics will change when the business objectives change. For example, if increasing brand awareness is the focus, organic social media growth could be the metric. If enhancing customer experience is the focus, the target could be to increase the percentage of social media enquiry responses within a certain time frame. Effective metrics eliminate ambiguity. Using SMART objectives – Specific, Measurable, Attainable, Relevant and Timely – to determine your metrics, will ensure they demonstrate real value, rather than simply a presentation of numbers. "If we want a seat at the 'grown-ups table' we have to earn it via metrics." Presenting insight from data to the C-Suite is central to proving the value of PR. For this to be effective it needs to spark interest and speak in the language of the C-suite: it needs to demonstrate positive financial impact. "Numbers without context are very difficult to process. Conduct deep analysis, but then summarise the results in a compelling, easy-to-consume way." Data can be presented in two ways: as a snapshot in time, such as in a monthly report; or as a live feed into a visualisation dashboard. Both approaches have advantages and disadvantages and the effectiveness of each depends on the presentation objectives. A snapshot summary report is quick, easily accessible and clear as to the effectiveness of a campaign or PR activity. A monthly report, for example, shows trends over time and offers the C-suite high level insights into the metrics they want to see including profit, revenue, customer satisfaction or purchase interest. A static visualisation of metrics, however, fails to capture time trends in real time and does not enable ongoing performance to be monitored in the same way as it offers a historical view. 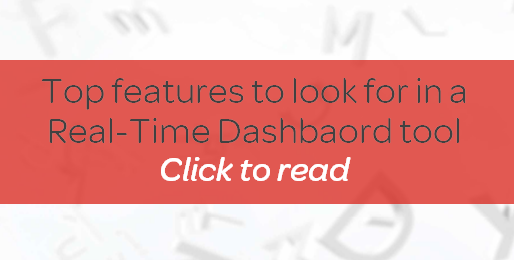 In addition to showcasing a brand's media success in real-time, online dashboards offer easy access to real-time information from a range of devices anywhere, anytime. In the fast-paced digital media landscape this accessibility can be crucial for campaign success and also invaluable for crisis communications. It also allows coverage to be viewed across all media channels, which gives an understanding of the most effective channels for outreach and other PR activities. Live data feeds enable companies to make comparisons against competitor media coverage, and determine which company 'owns' a topic in the media. It shows if coverage is trending, the sentiment behind it – positive or negative – and shows what words are closely associated with a brand. Crucially, insight into trends helps identify the most important influencers and conversations. The world has evolved with the rise of digital technology—and your role as a PR or marketing professional has changed as a result. With downward pressure on budgets and upward pressure on results, you need to have the right tools in place to prove the effectiveness of your strategies for boosting your brand and connecting with customers. Are you—and the tools you rely on—up to the challenge? Pokémon Go: crisis communications in the face of outstanding success?